A couple of years ago, Microsoft declared it's no longer going to support Windows 7. That it's going to gradually come to a stop in 2020. Now, what if you're someone who simply loves the 2009 OS and wants to hang on to it until the very end? (which is on January 13, 2020). Here the answer: use our Comodo Free Antivirus which can protect your Windows 7 well. Microsoft itself has expressed its concerns regarding Windows 7, stating the OS has become so outdated that no matter how many security patches are released, the OS would never really be secure. Under such circumstances, we wish to allay Windows 7 users' fears and assist them to secure it against security threats till Jan 13, 2020. Why Use Comodo Antivirus For Windows 7? 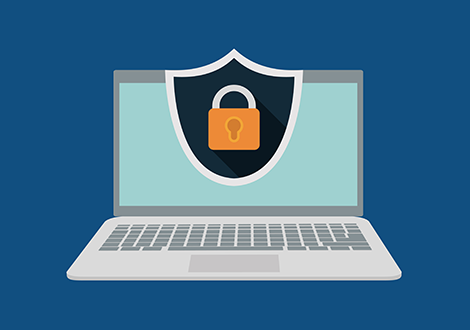 Comodo Antivirus comes equipped with an impressive stack of security features that make it stand out and get noticed in the IT security industry. Containment, HIPS, Comprehensive Scanning, Cloud-Based Protection and other such security features which have the potential to make any antivirus the best antivirus for Windows 7 are all packaged into Comodo Antivirus. Containment – which corners unknown 'files' and executes them in a separate environment, and lets them into your PC only after they are proved to be harmless. Host Intrusion Protection System (HIPS)– allows users to configure and impose rules which define the executable files (.exe) and processes your computer should be allowed to run. Default Deny Approach – which ensures unknown applications are denied access to critical areas of your computer until they are proven to be safe. Ensuring zero-day malware can’t harm your PC. Viruscope – another technology unique to and developed by Comodo which, using a system of behavior recognizers, not only detects unauthorized actions but allows PC users to completely undo them. The ability to undo undesired actions is an efficient way of combating malware.